What is more boundless than a bike? Bikes take you anywhere, just like a College of Charleston education. In 2015, Boundless: The Campaign for the College of Charleston is sending a fleet of custom Boundless bikes to alumni across the country and across the world to encourage boundless exploration and adventure. Request a bike, take it somewhere you’ve always wanted to go, post a picture at #boundlesscofc or on Facebook, and then pass the bike on to a fellow alum. Our goal is to put a Boundless bike on every continent and inspire more than 5,000 alumni to reconnect with the College! Oozeball may have ended in 2008, but the scholarship that it funded is still being awarded today! 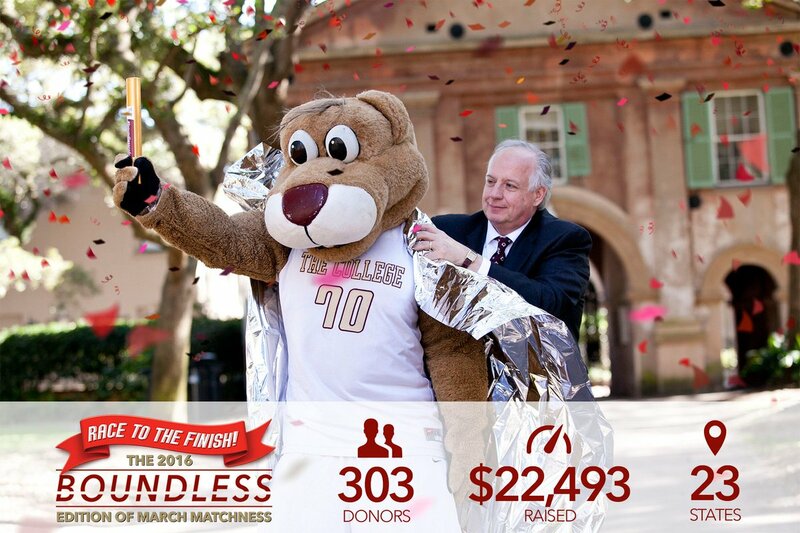 Help us reach our 10,000 alumni donor goal as we #RacetotheFinish of the BOUNDLESS campaign! Make your gift today and be counted among the 10,000! Who remembers the rain storm and chaos of Graduation 2007? This was also the last year the College hosted only one spring graduation ceremony (I guess I see why!). Many things have changed since 2007 but the core of the College will always remain the same. Giving back helps to preserve our traditions. 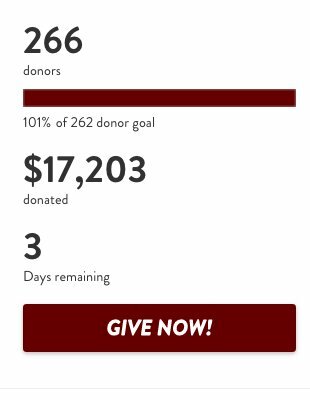 Make your gift today to the College of Charleston Fund to help ensure future graduates have the same opportunities for amazing graduation memories. Be counted among the 10,000 and join the #RacetotheFinish! With the 120th running of the Boston Marathon this month, we are taking a moment to look back on last year’s race when alum Chris Bailey ’12 and ’15 was making his final preparations for the 2015 Boston Marathon. Bailey’s personal goal for the marathon, to finish the 26.2 mile race in less than 2 hours and 30 minutes. For some this may sound tremendously challenging, but for Bailey who had just won the Charleston Half Marathon three months earlier and set a new course and personal record at the 2014 Wrightsville Beach Marathon finishing with a time of 2 hours and 28 minutes, this goal was feasible. Bailey grew up in Charlotte, N.C., and began running cross country during his sophomore year of high school. Cross country appealed to him as it provided the camaraderie of a team, the opportunity to get outside more, and it was a sport that if you worked hard you could see improvement. It wasn’t until he broke his foot his junior year that Bailey realized how important running was in his life, and he came back from his injury stronger than ever before. Not long after his injury, Bailey took a trip to Isle of Palms, S.C., for spring break where he ran the Cooper River Bridge Run 10K for the first time, finishing in less than 35 minutes and capturing the attention of coaches at CofC. At the College of Charleston, Bailey joined the Honors College majoring in International Business and Spanish. He was a member of the cross country team and helped to make the CofC men’s cross country team a contender in the Southern Conference. He graduated with the school record for 8k cross country (now held by Mackenzie Johnston ’15) and was named an Academic All-American. Bailey continued his education at the College, graduating with a dual master’s degree in Environmental Studies and Public Administration. During his time as a graduate student, he served as a volunteer assistant for the Academic Magnet High School cross country and track teams, working under head coach Brian Johnson who was his coach while he was running for CofC. His passion for CofC and running hasn’t stopped; he currently works as the Associate Director of Recruitment and Marketing in the Honors College, is a GOLD Society donor, and owns a franchise in Charleston, S.C. called Without Limits that coaches runners from middle-school age to adults in their 60’s. According to Bailey, running The Boston Marathon in 2015 lived up to every expectation he had. Although the weather was gloomy, spectators lined the streets along the entire 26.2 mile course and he was able to see professional women and men start the race since he was in the first corral of runners. Bailey finished the race just shy of his goal, with a time of 2 hours and 31 minutes, impressively finishing 91st in the overall race and the first finisher from South Carolina. Although this year an injury prevented him from running in the marathon, he watched closely as some of the runners he coaches were taking in the experience for themselves. Deborah Lee James is currently the 23rd Secretary of the United States Air Force located in Washington D.C. She is responsible for the affairs of the Department of the Air Force, including the organizing, training, equipping, and providing for the welfare of its nearly 664,000 active duty, Guard, Reserve, and civilian Airmen and their families. She also oversees the Air Force’s annual budget of more than $139 billion. Deborah James will speak at the graduation ceremony on May 6, which begins at 4:00 p.m.
Michael Luttig is the current Executive Vice President and general counsel of The Boeing Company, where he is responsible for leading the Boeing Law Department across the company. Prior to joining Boeing, Luttig served on the U.S. Court of Appeals for the Fourth Circuit for 15 years; being the youngest federal appeals court judge in the country when he was appointed by President George H. W. Bush in 1991. The Honorable Michael Luttig will speak at the graduation ceremony on May 6, which begins at 7:00 p.m.
Mike Couick is the current President and Chief Executive Officer of the Electric Cooperatives of South Carolina, Inc. where he oversees the operations of the largest electric distribution system in the state of South Carolina (more than 1.4 million South Carolinians in 46 counties use electricity from electric cooperatives). Since joining the electric cooperatives, Couick has initiated dialogues with state and national environmental groups, forged alliances with investor-owned utilities that lowered costs to co-op consumers by more than $1.5 billion, and helped design the Rural Energy Savings Program (RESP). Mike Couick will speak at the graduation ceremony on May 7, which begins at 4:00pm. For more information about the May 2016 Commencement Ceremonies held in the Cistern Yard, visit the CofC Commencement Information Website. On Friday, April 8 nearly 250 guests attended the 1770 and GOLD Societies annual donor appreciation reception at the Francis Marion hotel. 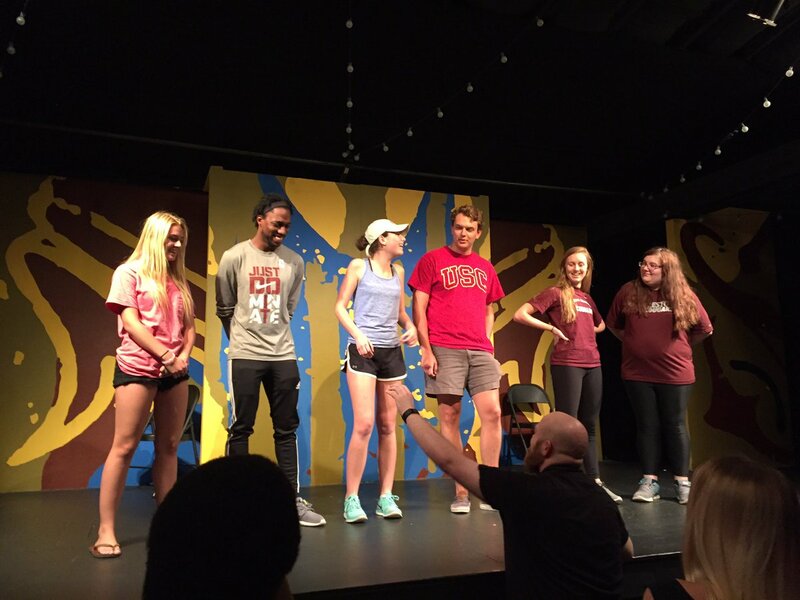 This year’s event featured the International Scholars Program, which is a collaboration between the School of Languages, Cultures, and World Affairs and the Honors College made possible by the Samuel Freeman Charitable Trust. 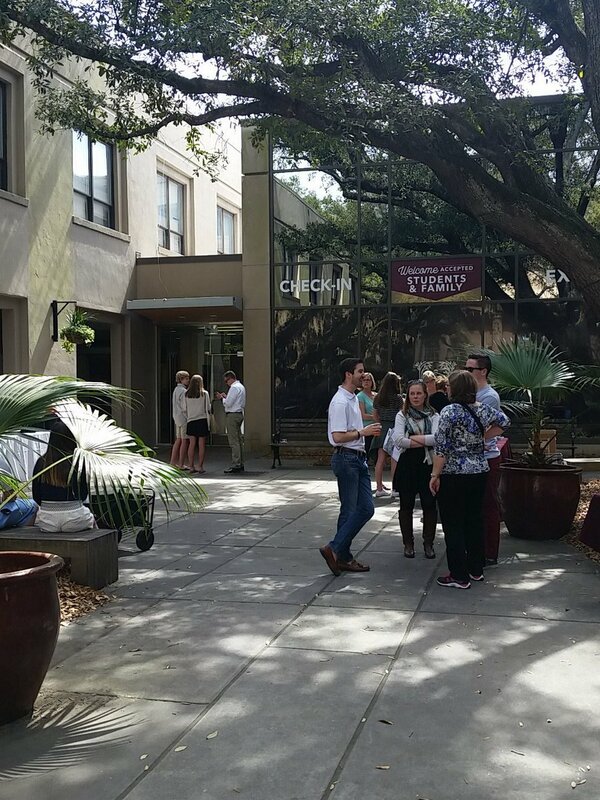 Each year the program seeks to recruit 10 nationally competitive students to the College of Charleston who are interested in a globally-focused career. Students in the program major in International Studies and a second major of their choice and are required to be intermediately proficient in a second language. There are currently 39 students participating in the program and six of them have won nationally competitive awards so far. During the evening, attendees had the opportunity to hear from two of these exceptional students. Derek Berry ’16 is a native of Aiken, South Carolina. He has studied abroad in both Cuba and Germany, and has also published a book and poetry chapbook. Derek spoke passionately about his experiences in and out of the classroom in Germany. Polina Aleshina ’16 is a Russian immigrant raised in Columbia, South Carolina. Polina is also a Huge Scholar and has studied abroad in France, The Netherlands, and Germany. Polina shared her touching story about her family immigrating to America. Both Derek and Polina expressed their gratitude to all of the loyal supporters of the College of Charleston for making their experiences of studying in Charleston and abroad possible. Shekinah Patterson understands the importance of philanthropy at the College of Charleston and the value of education. A senior Sociology major at the College and a Johns Island native, she plans to stay in the classroom by becoming a certified Elementary School Teacher. This experience is inline of her goals to pursuing a graduate degree in Educational Leadership to become a principal. Graduating and transitioning from student to proud CofC alumna in just a few short weeks, she has benefited from her liberal arts education, made possible by her hard work and the scholarship which she receives. As a scholarship recipient, Shekinah knows firsthand how donations to the College play in her own success and in the success of others. 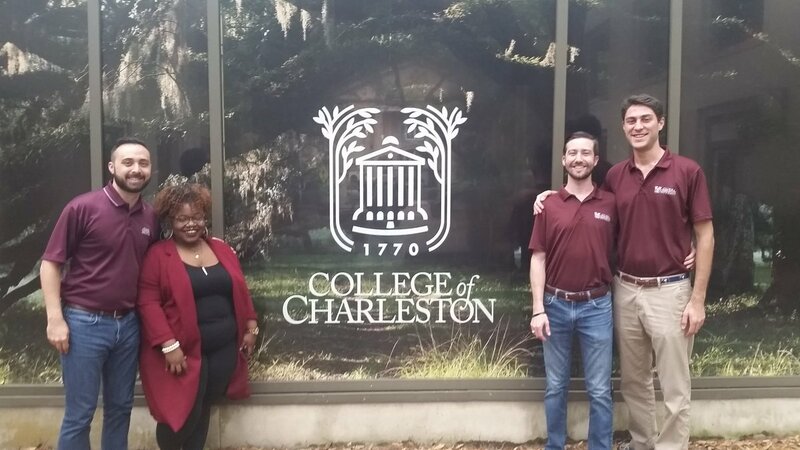 “Thanks to the generosity of donors, students here at the College of Charleston, including myself, are given the opportunity to attend the College, without a financial burden, and access to a world-class education,” Shekinah says. And she communicates this message almost nightly. Shekinah is a Cougar Caller at the College of Charleston’s Cougar Call Center and calls alumni, parents and friends to ask for donations, and she has been quite successful. Over the past three months, she has raised over $3,500 to support scholarships, like the one she receives, and to ensure the College can continue to thrive. Beyond receiving philanthropic support, she understands the importance of giving back, too. In addition to her work in the Cougar Call Center, she is a Executive Board member of Committed to Charleston, a student organization which promotes philanthropy and encourages students to give to the College. Shekinah helps educate her fellow students on giving and how even moderate gifts, like the ones most students can afford, go a long way. “These opportunities have allowed me to be a vital factor in fundraising for the College’s Boundless Campaign,” Shekinah says. “I’m proud of the work that I’ve done to help demonstrate the importance of philanthropy to countless alumni, students, and friends.” From educating others about philanthropy to educating students in a classroom, Shekinah’s College of Charleston experience will stick with her for a lifetime. It was cold, dark and rainy, but Meagan Dunham’s heart was as warm as it could be at the public launch of the College’s BOUNDLESS comprehensive campaign in November 2014. Speaking to the 400+ members of the College community gathered in the Cistern Yard that night, she felt a sense of hope and possibility – a sense of confidence she’d never had before. In high school back home in Marion, S.C., Dunham put her mind to going to college to study public health. But Dunham worked hard on her grades and her extracurricular activities (mostly community service), and – with the help of the Upward Bound Program – she applied for and was granted both a Pell Grant and a Legislative Incentive for Future Excellence (LIFE) Scholarship to go to the College of Charleston. As a first generation college student, she was also eligible to apply to the ROAR Scholars Program, which provides workshops and academic support to keep first-generation students on track for graduation. Even with all the support, though, Dunham wasn’t sure she could hack it: She hadn’t factored in the cost of books and daily life, and she was going to have to take on multiple jobs in order to make it work. She didn’t have to think long, though. Two weeks into her college career, Dunham was accepted into the Coca-Cola First Generation Scholars Program, granting her an additional $20,000 scholarship over four years, and received the James E. Clyburn/Rudolph Canzater Foundation Scholarship ($1,000, with the College granting a 2-to-1 matching scholarship). And that’s exactly what she did – and continues to do. Indeed, Dunham’s future in public health is wide open, which, she says, is something that Gangarosa helped her realize. And, thanks to a few scholarships and the support of the College, Dunham is certainly getting the education to back up her goals. Growing up as a first-generation American in Columbia, S.C., and spending three years in her parents’ native Nigeria, Sophia Emetu knows how important it is to have the support of others. She has seen how hard life can be, how much we rely on others’ generosity and help and, ultimately, how far we can go when we put in the effort. And, with the help of the RISE Scholarship, she knows there are no limits to what she can do. Emetu’s potential is clear to alumni Ben ’02 and Sara DeWolf ’02, who established the RISE Endowed Scholarship Fund last year. That gift has since prompted four other substantial gifts for the scholarship, which is (R)ecognizing (I)ntelligence, (S)trength and (E)ngagement, as its name specifies. Emetu can appreciate the value in expanding your perspective. Not that Emetu really needs to think about it: She knows she wants to help people. She hopes, too, to be a role model for her four younger siblings. That, and the DeWolf’s generosity, of course. With that kind of support, she knows she is going to go far and that she’ll continue to climb higher and higher. After all, now that she’s at the College, the sky is hardly the limit! Chenele Jackson ’87 was struggling to make ends meet. At 31, the newly single mother to three daughters was determined to set an example to her girls as the first college graduate in her family, but she couldn’t do it alone. When the N.E. Miles Early Childhood Development Center (ECDC) waived her daughter’s tuition, it helped – a lot – but not enough to keep her afloat. “I have to take care of my family first,” she told a professor who’d found her crying outside of a Maybank Hall classroom. Jackson would be OK. She’d graduate, and – thanks to her commercial real estate professor, Perry Woodside, now a professor emeritus in the School of Business and a member of its Board of Governors – start working at the Charlotte-based N.C. National Bank Corporation. “The College directly shaped my career, my development and my opportunities,” says Jackson, a consultant with Wells Fargo’s Corporate Finance, Shared Service Accounting organization. That’s why she’s given to the School of Education, Health, and Human Performance, the College of Charleston Fund and ECDC annually for some 17 years. Jackson has been a BOUNDLESS supporter, most recently making a planned gift toward the ECDC tuition for the child of a single mother who is a first-generation college student.